Reduce Downtime – identify and predict failures before they occur allowing you to increase your planned maintenance and saving you money. Increase Safety – non–invasive, non-contact method of diagnosing faults in your equipment from up to 200m. Maximise reliability and availability of critical plant and equipment – keep your machinery working and plan your maintenance before it becomes a catastrophic, unplanned failure. This will save time and money by being active, not reactive. Reduce maintenance costs – when a component fails, it generally causes more damage to other parts or components that require more repairs and downtime. Cut your costs by predicting the failures and stop them before they occur. Over 80 Years of combined trade and mining experience – Our team of specialists understand your equipment and working conditions with years of practical, hands on experience. 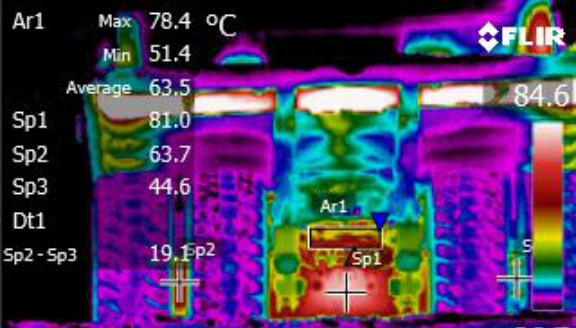 Trained and certified Thermographers – IIAT Thermographers are certified to a minimum Level1 ISO 18436-7:2008. Director Jeff Erichsen also holds a Level 3 accreditation and an AINDT Cat 1 Certification. Reports carried out on-site – IIAT Thermographers carry out all reporting on-site to ensure you have all of the information you require in a timely manner. Maximise the Efficiency of your on-site tradespeople – The information we provide will assist you in timely, targeted repairs, increasing the efficiency of your maintenance team. This limits downtime and increases machine availability and productivity. No limits on location – Our state of the art equipment is transportable to anywhere in the world. If you need it surveyed, we can be there for you. 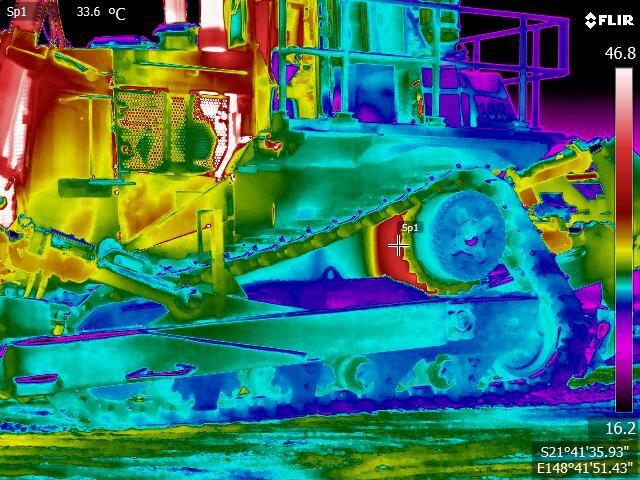 Real time photos or videos analysed by our qualified Thermographers, with a detailed report submitted via email prior to departure. Greatly reduce downtime associated with unplanned maintenance. No shut down required whilst diagnosing equipment, saving time and money. Diagnosis takes place from up to 200 metres away. This eliminates carrying out physical tasks and direct interaction while diagnosing and monitoring tasks around mobile equipment and fixed plant.